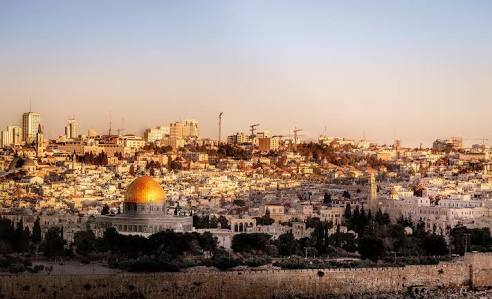 The Czech Republic has joined the U.S. President Donald Trump in recognizing Jerusalem as the capital of the State of Israel. President Trump had on Wednesday declared the the Holy city of Jerusalem as Israel’s capital, a development that triggered mixed reactions. A statement issued by the Czech’s foreign ministry, said, “The Czech Republic currently, before the peace between Israel and Palestine is signed, recognizes Jerusalem to be in fact the capital of Israel in the borders of the demarcation line from 1967. “The Czech Republic considers Jerusalem to be future capital of both states, meaning the State of Israel and the future State of Palestine. The President of the United States of America, had earlier on Wednesday announced that his country officially recognized the city of Jerusalem as the capital of the State of Israel and announced that the American embassy in Israel would be relocated to Jerusalem. The Czech Republic is one of Israel’s strongest allies.